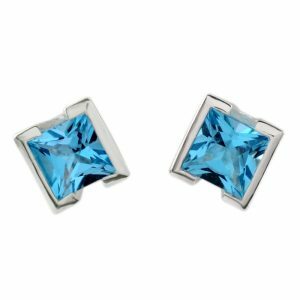 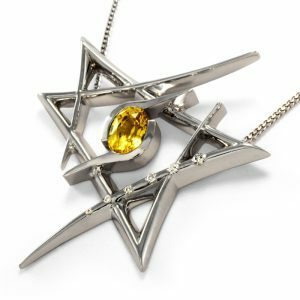 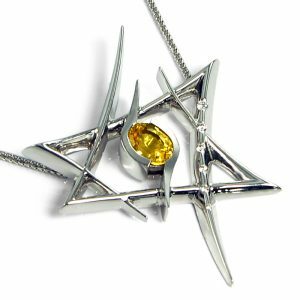 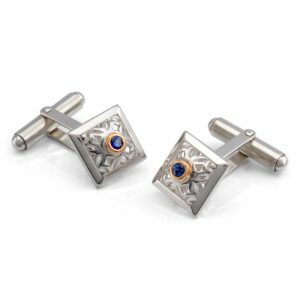 The decorative settings of these pretty studs are designed to perfectly compliment the Flame pendant, or sit just as beautifully on their own. 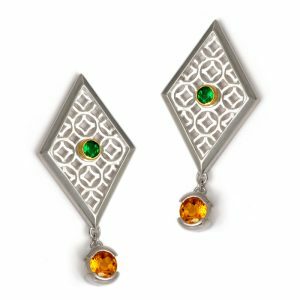 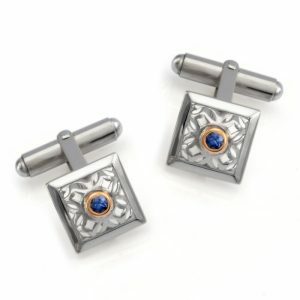 Elegant wire work houses the gemstones allowing for maximum light entry, showcasing the stones at their best. 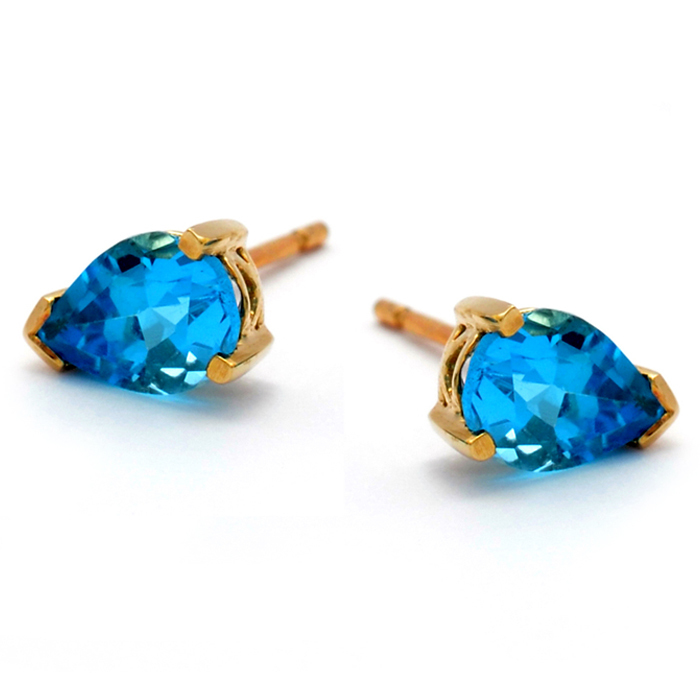 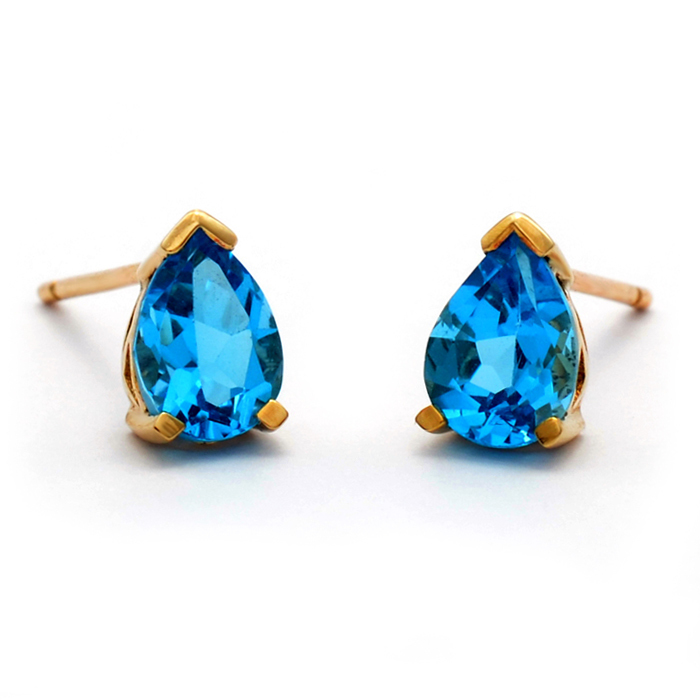 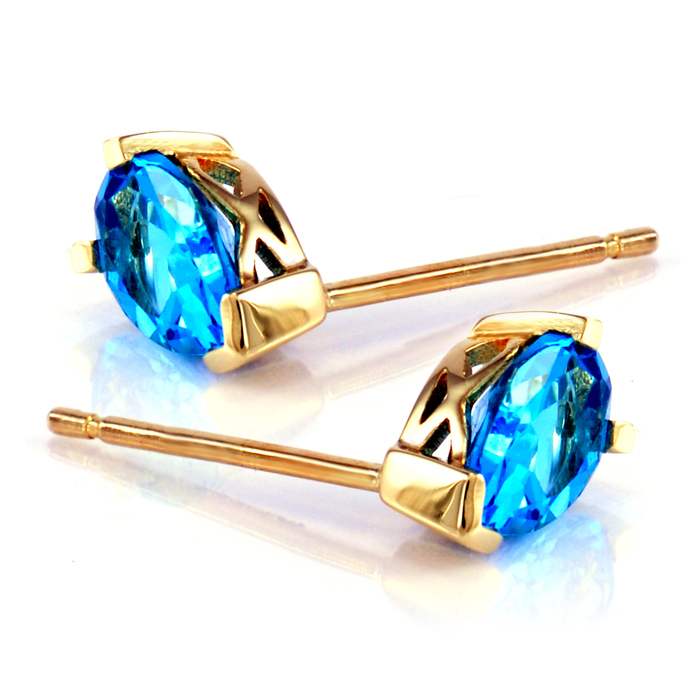 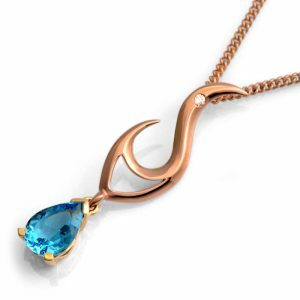 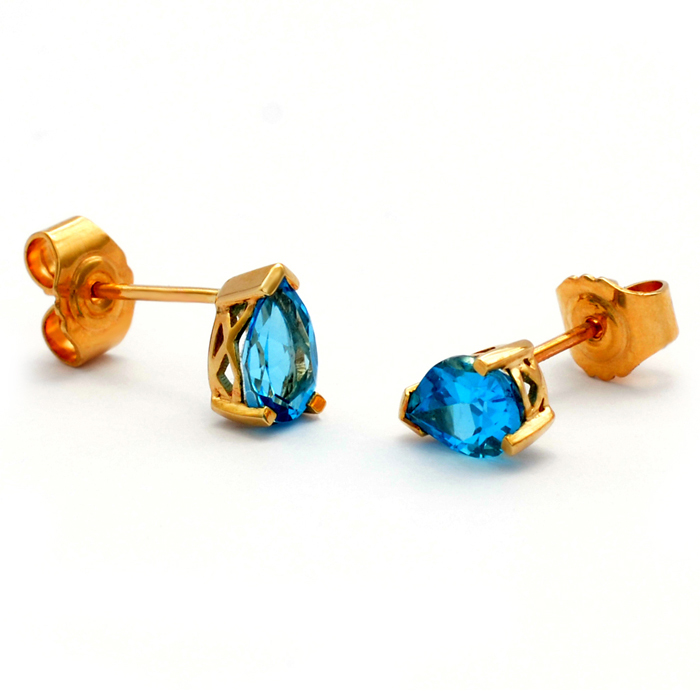 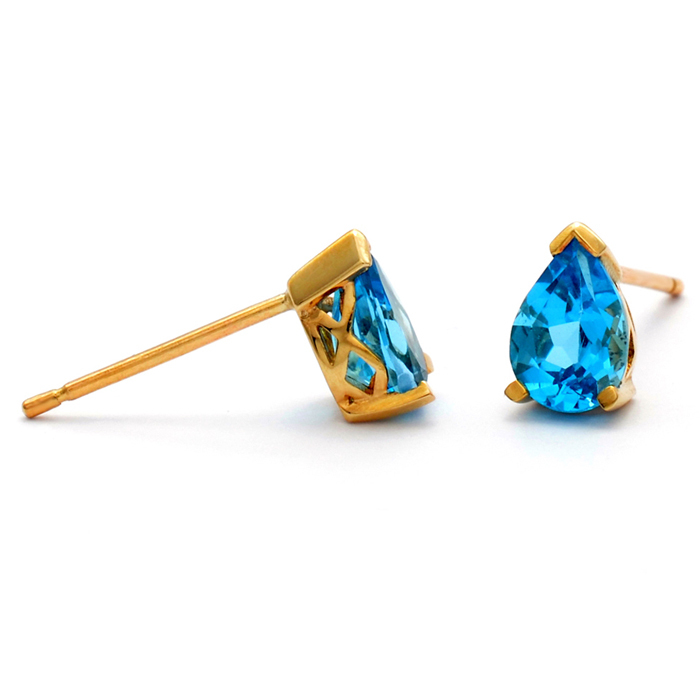 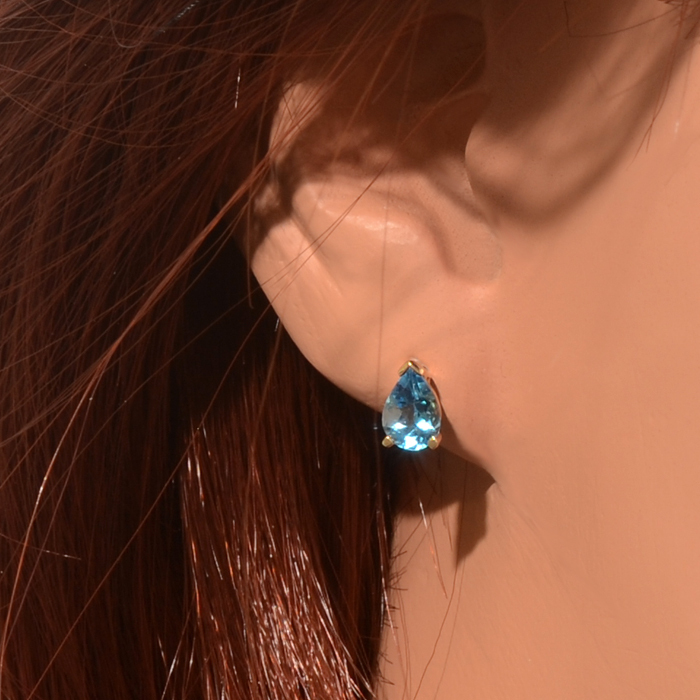 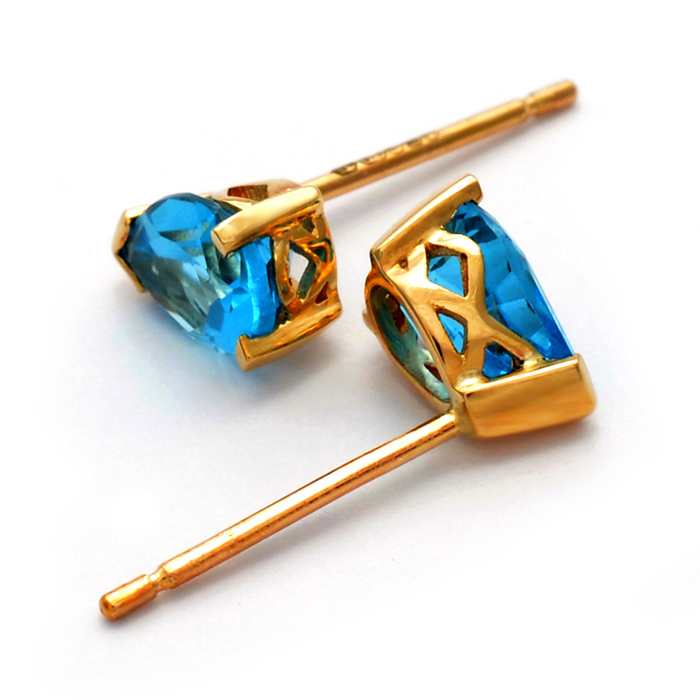 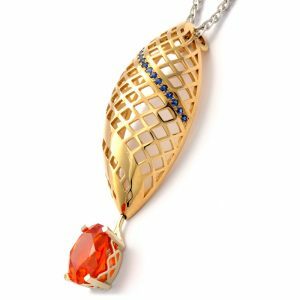 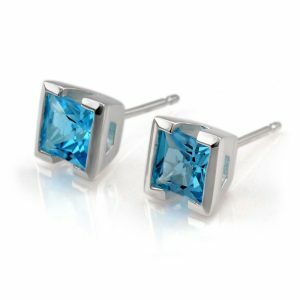 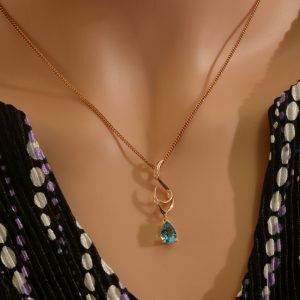 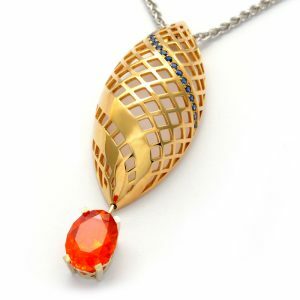 9ct yellow gold featuring a pair of claw set, 1.68ct, pear faceted Swiss Blue Topaz. 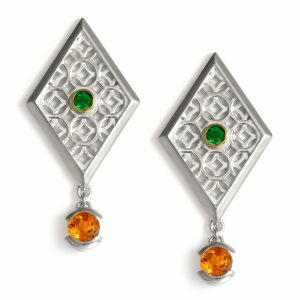 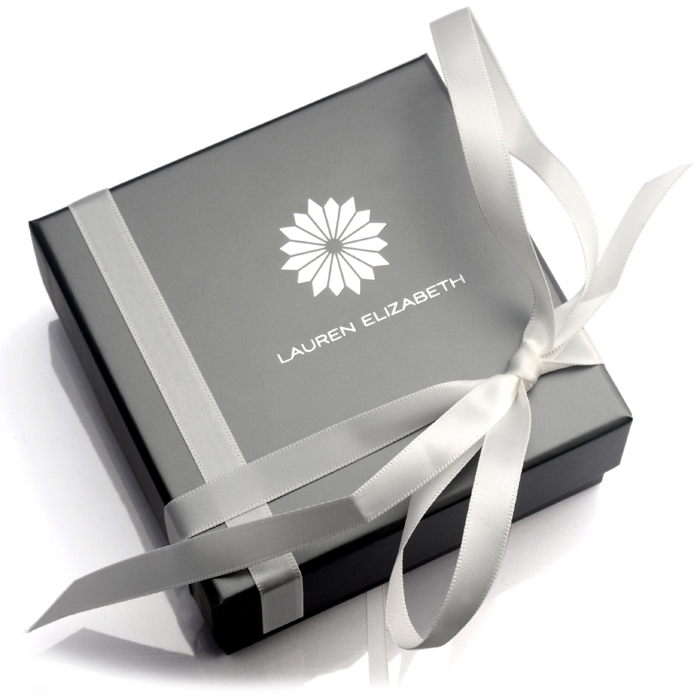 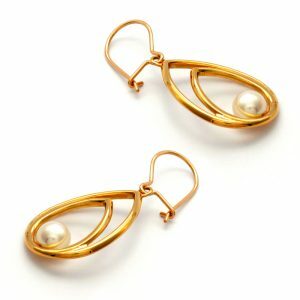 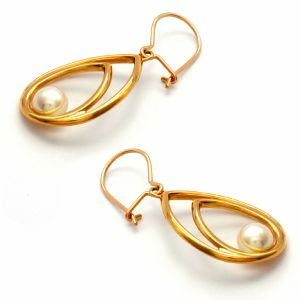 These earrings come with secure butterfly scroll backs. 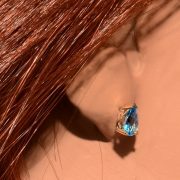 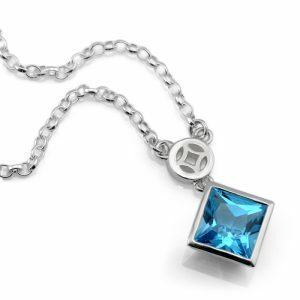 Available in a choice of metals and calibrated pear faceted gemstones (7 x 5mm). 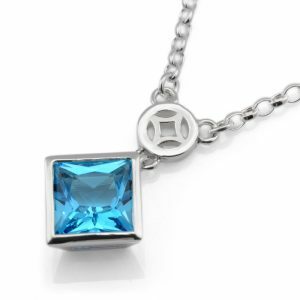 If you would like an alternative metal or gemstone please get in contact for an order made to your specification.